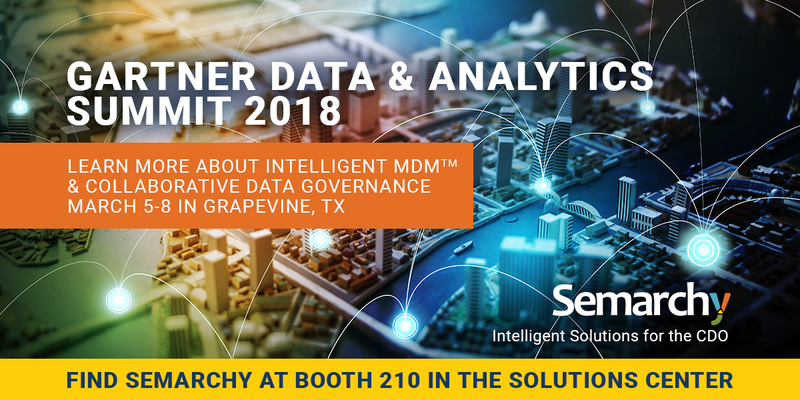 The Summit was the must-attend educational, informational and networking forum for the Chief Data Officer (CDO), as well as innovative data management and business analytics executives. The top minds from around the world who are focused on driving data as an asset in their organization attended this show. Semarchy exists to be an all-in-one solution to address the most pressing data management issues today, in one organically scaled solution we call xDM. xDM can solve for the (x) of Customers, Products, Suppliers, Patients, Locations, IoT Things, etc. that need to be mastered and governed collaboratively and with tightly controlled lineage, audit and scalability. Jeff discussed lessons learned in accuracy, timeliness, ownership and accountability, and ultimately customer experience. One of the fastest growing restaurant chains, Chipotle Mexican Grill is mastering and governing everything from the freshest menu ingredients to the tax, regulatory, and management specifics for over 2,400 stores in 5 countries. We were pleased to welcome them to explain more about the lessons they learned in accuracy, timeliness, ownership and accountability, and ultimately customer experience. Currently Jeffrey is responsible for the development of Chipotle’s enterprise architecture practice which includes enterprise services, cloud strategy and application architecture. He also works closely with data architecture and business intelligence teams. Chipotle Mexican Grill is mastering everything from the freshest menu ingredients of any national chain to the tax, regulatory, and management specifics for each of their, over 2,250 stores.